BECAUSE THINKING CORRECTLY is an integral part of who we are as human beings, the idea of helping people develop their reasoning ability involves expanding who they are as rational beings. This is one of the many reasons teaching a course in Logic and Critical Thinking is perpetually exciting and gratifying. Teaching students the subject Logic is equipping them with useful intellectual tools which also refine their viewpoint from which they view the world. As Logic also calls for the need to evaluate and persistently reassess one's concepts and even values, this academic discipline, in effect, aptly guides people in making wise decisions in life. Moreover, clear understanding of many things oftentimes leads to properly looking at the world and life itself. The dictum thus resounds: Logic, as is the case with other branches of Philosophy, may not teach us how to make a living, but it could teach us that life is worth living. 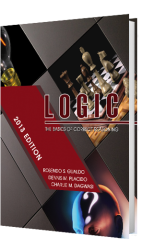 This book in Logic is written to serve as a comprehensive introduction to reasoning and Critical Thinking. It humbly aims to help the readers develop thinking abilities needed for academic study and career success as it fosters relatively advanced intellectual and language abilities. Logically Arranged. 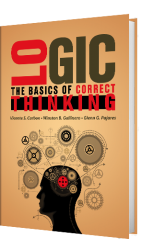 It begins with the basic things about Logic and Critical Thinking and then sequentially progresses to more sophisticated thinking—the critical evaluation of terms, propositions, and arguments, respectively. Written in Module Form. Each lecture comes with other important elements like objectives, discussions, activities, self-tests, and the like which make each module a holistic learning package. 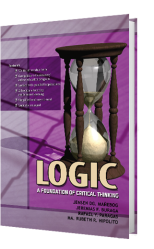 A Simplified Easy-to-Read Logic Book. Though simplifying Philosophy lectures is experientially easier said than done mission, this book nonetheless endeavores for this objective as it also contains other attributes that make the lectures reader-friendly. Whenever appropriate, sections are written in conversational tone using the `you' and 'we' pronouns as if talking to the readers. Furthermore, sensible and easy-to-understand examples are carefully chosen for each topic.